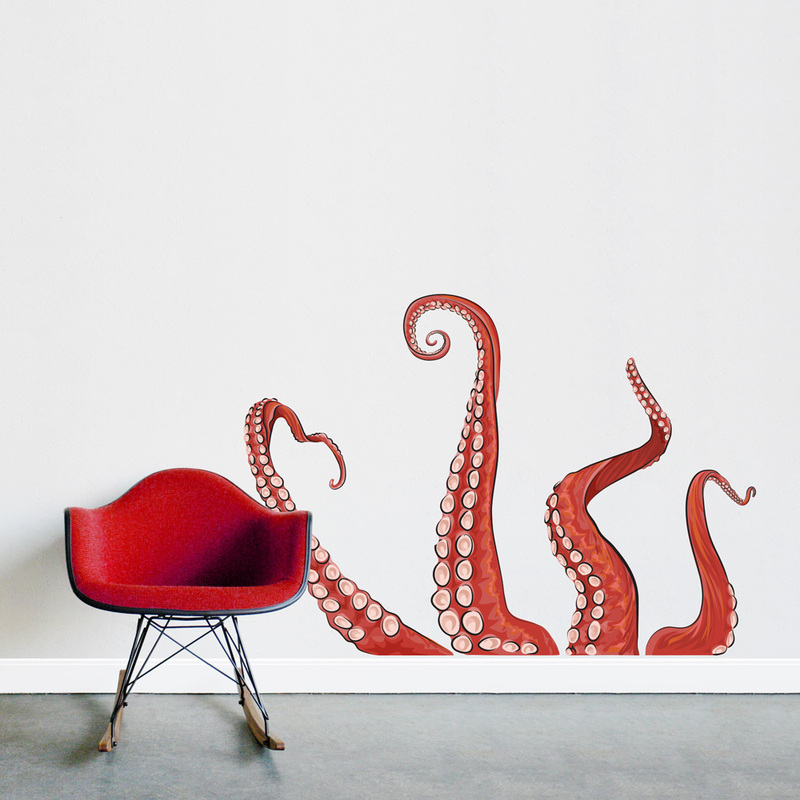 Tentacles Printed Wall Decal Drawn by Diesel & Juice Illustrations. 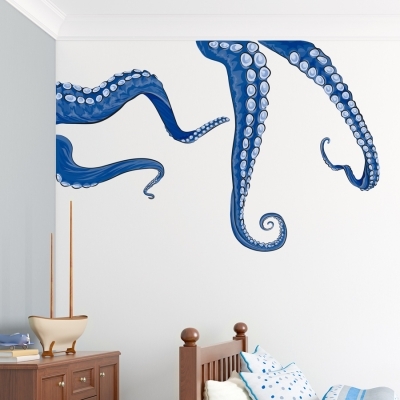 These tentacles look great creeping out from behind a couch or around a corner! If you enjoy this decal, be sure to check out our single color Octopus Tentacles Decal.. 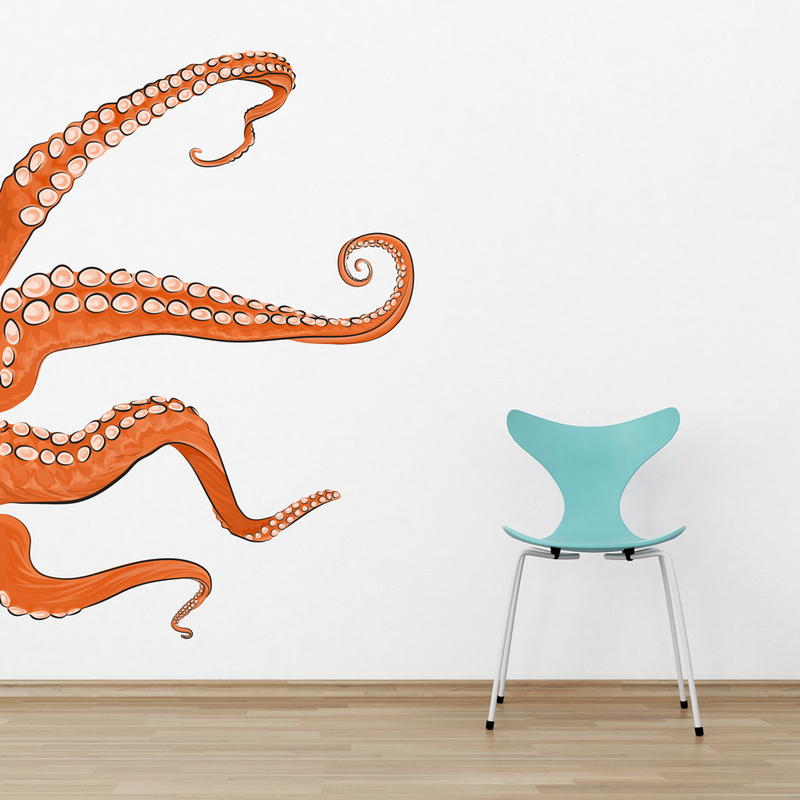 Available in 2 sizes, and three colors Red, Orange, or Blue. Please note: Colors may vary slightly from the image above. 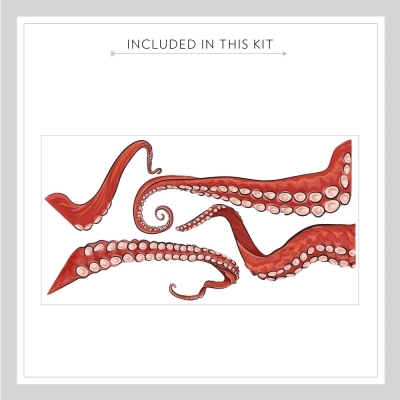 sheet size: 48" x 24"
sheet size: 48" x 45"